Taking place on the last Saturday of each month*, CASt must be the friendliest and most rigorous alternative coach tour of the capital. Hundreds of galleries, art spaces and artists' studios are dotted throughout London and its outlying areas, making it a veritable playground for anyone with an interest in art. Making seven or eight stops (plus one for lunch) in under six hours, CASt aims to uncover the cutting-edge of contemporary art, visiting far-flung and temporary venues alongside more established spaces. 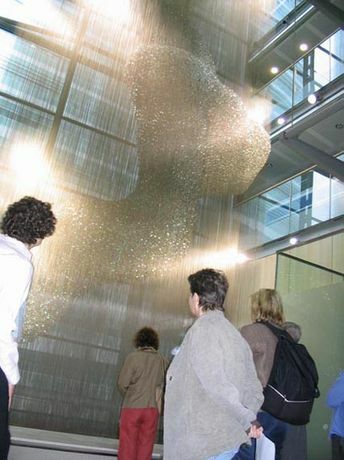 The scope of these tours makes them perfect for not only every gradation of art collector, but for curators, art students and those that are simply inquisitive. Please book early (by telephone or email) to guarantee a spot on the first and still the best contemporary art bus tour in London. (* Please note that CASt does not take place in July, August and December). Please note that bookings can only be confirmed upon receipt of payment. All payments should be received by the 15th of the month. No changes to booking can be made after the 15th of the month. Lunch will be arranged and paid for by the Contemporary Art Society and will include a main course with a glass of wine/beer/soft drink.